The Rationalist Press Association (RPA) was founded in 1899 by Charles Albert Watts, the son of the prominent freethinker Charles Watts, to “assist in securing the amendment of the law which sanctions the confiscation of property left for anti-theological purpose, and to promote the issuing, advertising, and circulation of publication devoted Freethought and Advanced Religious reform.” (Blasphemy Depot, p. 6). At the time, bequests of donations to free thought organizations were confiscated because of the widely held assumption that a morally sound person would not want to donate to freethought organizations. It was preceeded by a host of diverse publishing ventures from other freethinkers such as his father Charles Watts, Charles Bradlaugh and G. W. Foote but while those organizations diverged or closed altogether, the RPA became the most significant publishing organization for rationalist and freethought organizations. 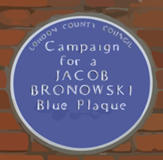 The RPA included such members as Frederick James Gould and the vociferously anti-religion, ex-monk Joseph McCabe. The RPA also was in part a response to the more radical elements of free thought. While it had less defined set of practices and goals as other ethical and rationalist organizations of the period, the RPA was important in that it tried to increase the profile and publications of information that would lead to lead to the belief in a rationalist worldview. Annual Reports of the RPA show how membership grew from 94 in 1899 to a high of 6,603 in 1965. 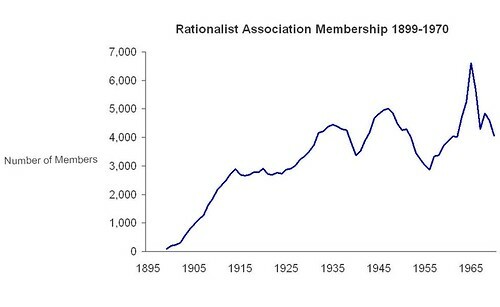 Since 1964 the memberships of the RPA and British Humanist Association (BHA) have partly overlapped. The actual membership of the RPA fell to 2,076 in 1970, partly reflecting an advertising policy which was aimed at subscriptions to periodicals rather than at recruitment of new members.